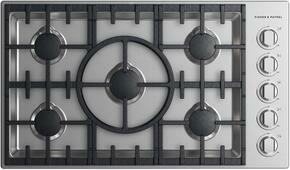 Cooktops are installed into countertops and they're available in gas, electric, and induction fuel types. 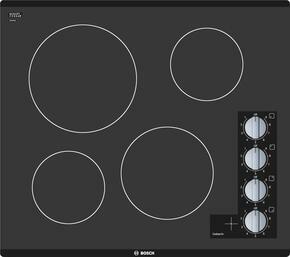 These stove tops provide more design flexibility than the conventional range, in which they only take up counter space and exclude an oven compartment. 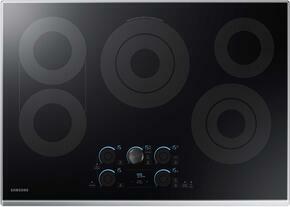 You'll find the latest models from the industry's trusted brands Jenn-Air, Wolf, GE, and more. 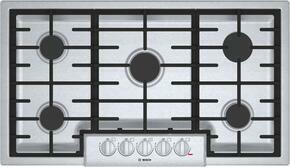 Gas cooktops get the flame started using natural gas or liquid propane. 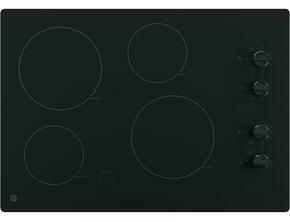 Open burners can reach scorching high BTUs ideal for boiling, frying, and searing. For slowly cooked stews, sealed burners distribute even flames and help contain spills if sauces happen to bubble over. 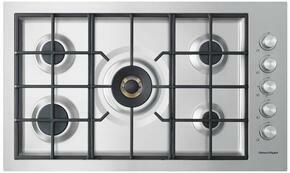 Many of these gas stove tops feature cast-iron grates that create a leveled base for pots, pans, and woks. 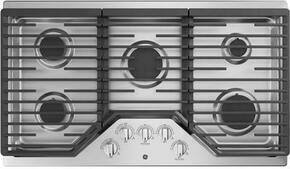 Some can even include a grill, griddle, and French top for a more versatile cooking surface. 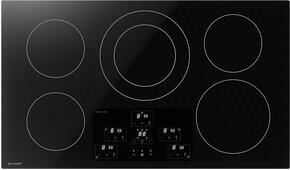 For a flameless way of cooking, electric cooktops are sure to help get the job done. 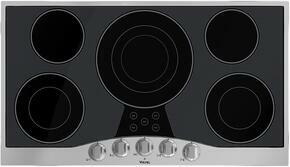 Electric stove tops are available with smooth top surfaces and coil heating elements. Since they use electricity to generate heat, you'll be able to cook up a storm without the kitchen temperature being too hot to handle. 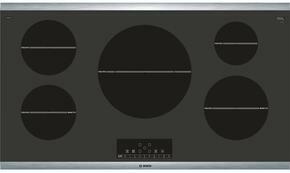 Induction cooktops use electromagnetism to transfer heat through induction capable cookware and create a safer cool-to-the-touch cooking surface. Another advantage of these electric cooktops is how effortless they are to clean, requiring only a few simple wipes from being spotless. 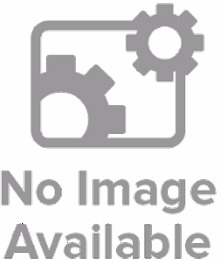 Extend your culinary techniques with other electric modules such as grills, fryers, and steamers. 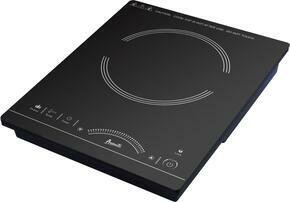 Find a cooktop that's a perfect fit for your kitchen. 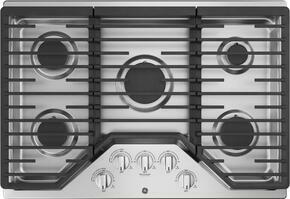 Stove tops range in size from 12 inches in width to an expansive 71 inches width with up to 8 burners / elements. 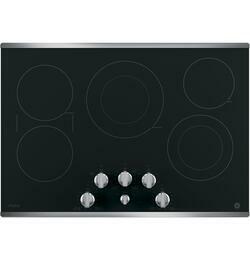 Finishes include stainless steel, black stainless steel, graphite stainless steel, white, black, bisque, blue, chrome, green, grey, orange, purple, red, silver, slate, and yellow to complement other existing appliances. 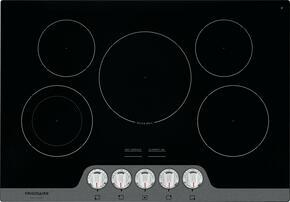 GE guarantees your new 30 inch or 36 inch GE Cafe Series, GE Profile Series or GE Appliances built-in electric, induction or gas cooktop will fit your existing countertop cut-out of compatible model with the same width and fuel type or GE Appliance will provide up to $100 mail-in rebate toward the cost of professionally modifying your countertop and/or cabinets. 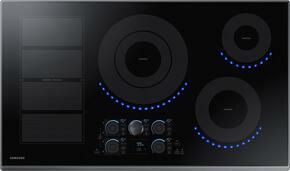 In order to qualify for GE Appliances Fit Guarantee you must replace your old Cooktop with a matching configuration and fuel type. Offer valid regardless of previously purchased brand. For more details please see rebate form.